Your Ancestor – Slave or Slave owner ? If your ancestor was in the small minority of people who owned land or property then tracking them back beyond civil registration and the nineteenth century censuses may be relatively easy. If on the other hand they were among the 90% or so who were agricultural labourers in Britain, or the even higher proportion in Jamaica who were slaves, records are thin on the ground and difficult to find. A new database, launched a couple of weeks ago provides a hugely valuable resource for those trying to track ancestors who owned slaves. Although the transatlantic slave trade was ended for the British Empire in 1807, this did not end slavery as such. It did lead to marginally better conditions for some slaves as their owners realised they could no longer easily replace those they mal-treated, worked to death or murdered. But for nearly another thirty years the abolitionists argued with the slave owners who wanted compensation for the loss of their ‘property’ should their work force be freed to leave or go to work for someone else. In the scandalous compromise that was eventually agreed, not only were the slave owners paid compensation, but their enslaved workforce were converted into ‘apprentices’ and required to continue working for the same masters for an interim period before being given full freedom of movement and the right to sell their labour where they wished. In practice for many this meant either leaving to set up subsistence small holdings on any available scrub land they could find, or working for the same master for a tiny wage and suffering the additional insult of being required to pay rent for the hut in the slave village which they had previously occupied as part of their servitude. One consequence of the decision to pay compensation, however, was that records had to be compiled of who owned how many slaves and where they were held. This resulted in the creation of the first comprehensive information on slave ownership on the Jamaican plantations. Some earlier records do exist but there are few complete sets of records before this period. The Legacies of British Slave-ownership website has now made these records available online. Not only does the database contain the names of the slave owners and the details of the compensation awarded, but where possible the researchers have added biographical details, and this is an on-going project to which we can all contribute as there is a mechanism for entering further information in your possession to send to the project team. As yet there is not full integration of the records of slaves and slavery held at the National Archives with this project, but it is to be hoped this may one day be possible, and in the meantime this website includes useful links to other resources on slavery and the slave trade. As an example of the kind of information you may find, I searched for my first cousin six times removed, Richard Lee – the son of Robert Cooper Lee – who had inherited a share of the Rose Hall estate in St Thomas in the Vale. Award split: £1424 8s 0d to each of Lee and Esdaile (seven-eighteenths each); £813 8s 11d to Thwaytes (four-eighteenths). T71/855: awarded to Richard Lee, London, executor and trustee; James Esdaile and William Thwaytes, London, owners-in-fee. Wm Thwaytes received award as heir-at-law to Wm Thwaytes the claimant. Son (and heir) of Sir James Esdaile the banker and brother of William Esdaile (q.v.). 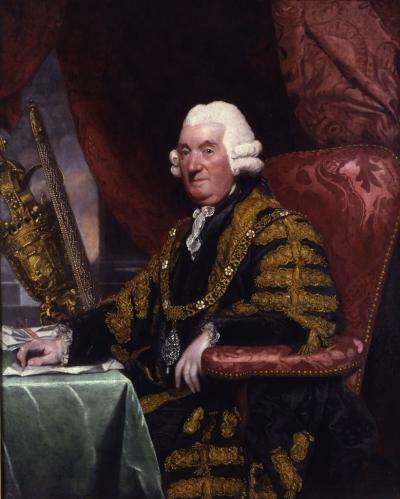 In 1789 the London grocers Davison & Newman bought a 4/18 share in Rose Hall; ‘the other owners were Sir James Esdaile [1714-93] and the Lee family, each of whom held a 7/18 share.’ Davison left his share to Abram Newman, who left it to his daughters, from whom William Thwaytes, the surviving partner bought it in 1811. 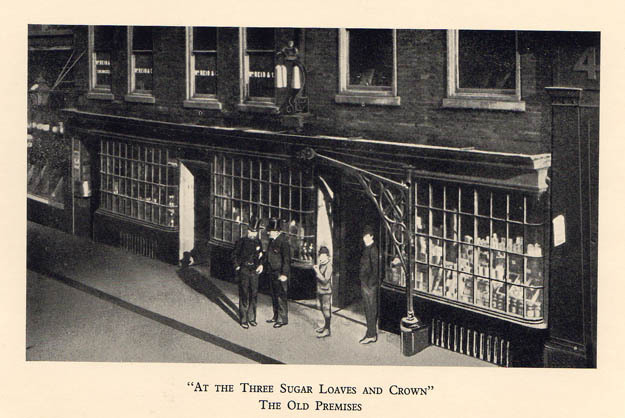 In Mr Thwaytes’ time, Richard Lee was the London agent of the estate, ‘taking over the sugar shipments’ [from Davison & Newman?] and rendering half-yearly accounts. After Mr Thwaytes’ death in 1834, his share passed to his heir-at-law, his nephew Wm Thwaytes, and so out of the hands of the firm, because Thwaytes’s will (under which he left his freehold property including Rose Hall to his widow) was not attested, so his widow received only a third-share as dower in her lifetime. 1. Owen Rutter, At the Three Sugar Loaves and Crown. A brief history of the firm of Messrs. Davison, Newman & Company now incorporated with the West India Produce Association Limited (London, Davison, Newman & Co., 1938), pp. 26-8, 34. Previous readers of this website will remember the Three Sugar Loaves and Crown from an earlier posting. The rich biographical information as well as the details of slave ownership and the amounts of compensation awarded provide invaluable background to a range of studies, genealogical, commercial, political and economic. Finally, if you want to try to match the slave owners to those they ‘owned’ you may find the images of the Slave Registers of former British Colonial Dependencies, 1812-1834, which are held on Ancestry.co.uk useful. From 1819 registers were compiled and sent to the Office for the Registry of Colonial Slaves in London. You can find the search form here. Although you will have to register with Ancestry to view them there is no charge for reading these records. I should declare an interest from the start – I love maps! I can look at them for hours. If a picture is worth a thousand words so too can a map be. Most people start investigating their family history through photographs, family stories and whatever documents have been kept, moving on to look at old census records and obtain birth, marriage and death certificates. But when you have these don’t underestimate the usefulness of looking at a map to see where your ancestors lived. Sometimes you will find that two addresses in the same town were just around the corner from each other, or that granny had married the boy next door. Sometimes changes in county boundaries mean that people who appeared to live in different counties were actually quite close. Birmingham is an example, since the Warwickshire village at its core was surrounded by others in Staffordshire and Worcestershire meaning you may have to visit three different county record offices or look at a selection of maps covering the area that now makes up the West Midlands. When our ancestors adventured abroad they always took a little bit of home with them. Sometimes it was in the form of habits that did not translate well to the new country. Early settlers in New Zealand built their houses facing south as they had done in England. But of course they were now in the southern hemisphere and soon realised that the sunny side was to the north! 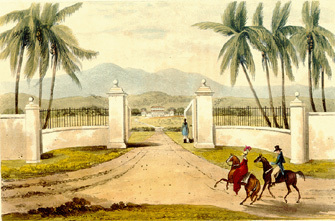 In Jamaica, the early settlers often named their houses and plantations after the homes they had left. So the Rose family of Mickleton in Gloucestershire established a plantation called Mickleton, and another called Rose Hall – near Linstead, and not to be confused with the great house now associated with the supposed witch. If you saw a place called Stirling Castle you could be pretty sure the person naming it was a Scot – in this case Archibald Aikenhead who was probably born in Lanarkshire. Lluidas Vale and Landovery had Welsh origins. Other names were simply aspirational – Paradise or Arcadia. An eighteenth century street map of Kingston reveals the names of its most prominent citizens – Beckford, Bernard, Beeston and Lawes among them. To think yourself back into the early history of Jamaica you also need to consider the terrain faced by the early settlers and how they travelled about. Here the maps in Michael Morrissey’s book Our Island, Jamaica are really useful. The first and most essential element for settlement is the availability of fresh water, then the availability of land for growing food and cash crops and the materials for building houses, barns and other outbuildings. Once you start to think along these lines you may be able to understand why your ancestors settled where they did. Look too at transport links remembering that in the earliest days it may have been easier to travel by sea than over land, even between places that are now quite close by road. Apart from a few Taino tracks there were no roads for the early settlers. High rainfall and mountainous terrain often made travel in Jamaica hazardous. The flat bridge in Bog Walk has remained without any railing after repeated floods washed them away. Fording rivers in flood led to the deaths by drowning of more than one early settler. Even after a hundred and fifty years of British settlement, Lady Nugent recorded in her journal the difficult state of the roads as she travelled around with her husband the newly appointed Governor, and she described the loss of a kittareen down a precipice – the officer driving it jumped clear but she didn’t mention the fate of the horse or mule which presumably perished. After the improved roads, came the railway making more places accessible and in the twentieth century air travel brought more changes to the map of Jamaica. One of the most useful modern maps available online is the Esso Jamaica road map made in 1967, shown above, and published on the Jamaican Caves website which shows not only the modern road system but many of the names of places and plantations established by the early settlers. A number of places on this map have clickable areas which give even greater detail. A search online for old maps of Jamaica reveals a wide selection. You can also find some on the Jamaican Family Search subscription website and on the Facebook Group Jamaican Colonial Heritage Society which is a treasure trove of images and information about Jamaica’s past. So next time you look at the history of your family, take a look on a map at where they lived and work out why they were there rather than somewhere else. I guarantee you will learn something new. The story of the White Witch of Rose Hall in Jamaica is a huge tourist attraction for the beautifully restored Great House of Rose Hall. The story goes that Annie Palmer murdered her several husbands and numerous black lovers and was eventually murdered in her bed by the slaves she had tortured and cruelly treated. Having come from Haiti and being brought up in the traditions of voodoo, it is said she haunts the place to this day. Before we go into the detail of the story let me tell you a cautionary tale. Some years ago a historian of science was interested to read in an academic paper that the ancient Greeks had discovered photochromic chemicals, which meant that a piece of cloth dipped in the liquid would change colour according to the light. Intrigued she checked out the reference in a respectable academic journal, and found that paper referred to another one. Finding the second paper she tracked the reference to yet another respectable academic journal. The trail eventually led through a series of about a dozen academic papers back to its source – a university student Rag Mag which told the story of how Alexander the Great had dipped a piece of cloth in the chemicals and wound it round his wrist, the cloth changing colour according to the time of day. It was known as Alexander’s Rag Timeband! The moral of this tale is always check your sources, and always if you possibly can go back to the original. So it is with the White Witch of Rose Hall. If you go online you will find lovely footage of the house as it is today and numerous references to the story which has done wonders for the tourist trade in the area. But for those interested in the real background, it is a case of never let a good story get in the way of the truth. Rosa’s first husband was Henry Fanning who began to build the first Rose Hall but died in 1747 less than a year after their marriage. Next she married George Ash in 1750 who died about two years later having spent £30,000 building Rose Hall; and thirdly Norwood Witter who seems to have spent her money and died leaving her to sort out his debts about twelve years later. There is nothing suspicious about any of their deaths, and eventually Rosa married the widowed John Palmer who owned the neighbouring Palmyra estate and who outlived her. They were happily married for nearly twenty-three years and Rosa was seventy-two when she died in 1790. Her husband created a splendid marble memorial to her and he lived until 1797, having married his third wife Rebecca Ann James two years after Rosa’s death. However he had extensively mortgaged the Rose Hall and Palmyra estates, and both properties were no longer lived in when he died at Brandon. The widowed Rebecca Ann left for England where she re-married, living on an annuity funded by her former husband’s estates which had passed to his two sons by his first wife, absentee landlords who lived and died in England. Enter the second John Palmer and the fourth Mrs Palmer in this story – the one to whom the legend now attaches. John Rose Palmer was a great nephew of the owner of Rose Hall and in 1820 he married Annie Mary Paterson, a Jamaican of Scots descent, who was not brought up in Haiti and of whom nothing unpleasant is known. The huge debts on the Rose Hall and Palmyra estates were too much for John Rose Palmer to recover from and the properties passed into the hands of the receivers, having been empty and cared for by just one or two slaves for many years. Thus when John Rose Palmer died in 1827 his wife sold out what little interest she still had in the estate for £200. She died in 1846, a good decade after her supposed murder, leaving what little she had to her god-daughter Giolia Mary Spence. So how did two perfectly blameless women and their several husbands come to be attached to a tale of lechery, torture and murder? The legend became complete and fact and fiction inextricably merged, with the publication in 1929 of the novel “The White Witch of Rose Hall” by Herbert G. de Lisser. In the 1960s various serious and successful attempts were made to establish the facts behind the legend, those by Geoffrey S. Yates and Frederick J. DuQuesnay are republished on the Jamaican Family Search website and a third by Glory Robertson is in the Jamaica Journal. For anyone researching a family story with lurid details, the White Witch provides a cautionary tale – always go back to the original sources. The real story may differ from the legend, but may be no less interesting. 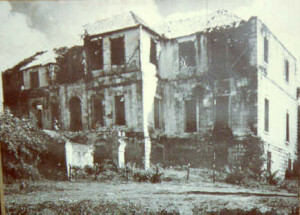 Unoccupied and unloved for 130 years Rose Hall Great House declined and was in a state of near collapse, as sadly are so many of Jamaica’s great eighteenth century mansions, but unlike many others it was rescued and restored between 1966-71 by John Rollins and his wife which shows clearly what can be done with buildings others have thought impossible to save. And if its continuance depends in part on a legend with no basis in fact? As I said earlier – why let the facts get in the way of a good story? * UPDATE: 08 February 2019. I have recently received the following helpful clarification about the naming of Rose Hall from Paul Hitchings, for which many thanks. Rose Hall Restored – By Urban Walnut (Own work) via Wikimedia Commons.